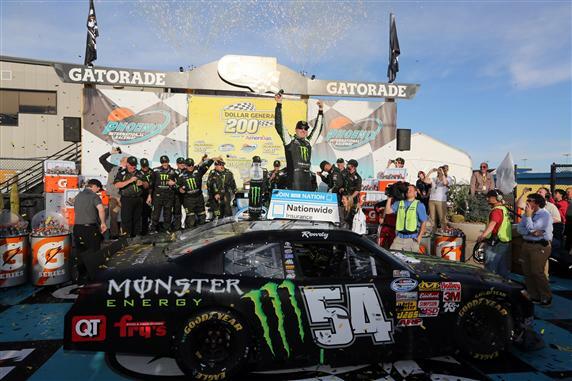 Kyle Busch scored his first Nationwide Series victory of the season at Phoenix International Speedway. The win was especially gratifying for Busch as he snapped a 24-race winless streak on the Nationwide circuit. Be sure to read more on the race, and see some great pictures, in the next issue of ROAR! magazine. If you have not subscribed yet, you can do so here. It’s free, so what do you have to lose? Next Article » Edwards is Back!